Lelo is intelligent, with energy. Daily exercise and training will enhance Lelo.He needs a home. “Once upon a time, I was adopted when I was just 6 weeks old and weighed 6 pounds, now I find myself back at this same shelter. 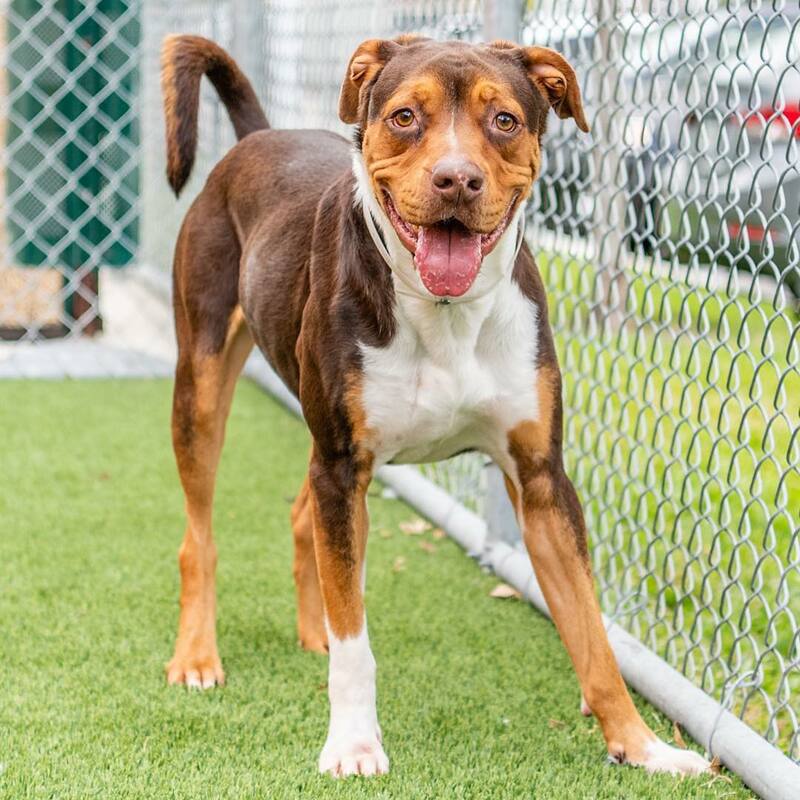 My adopters didn’t know the true meaning of commitment, now I sit here, in risk of being euthanized.” This sad story belongs to Lelo #A1859018, a male brown and white American Bulldog mix, approximately 9 months old. He was surrendered by his owners, and he’s been sitting at this shelter for 14 weeks now. Let’s pray there’s a happy ending to Lelo’s story, and it takes all of us, to make this happen. The only hopes he has is us, since his humans failed him. @sit.snap.save .